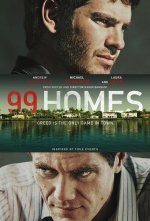 99 Homes release date was Friday, September 25, 2015. This was a Nationwide in theaters release. The film is set in sunny Orlando, Florida, where construction worker Dennis Nash (Andrew Garfield) is evicted from his home by a charismatic, gun-toting real-estate broker Mike Carver (Michael Shannon), and forced to move his mom (Laura Dern) and young son into a shabby motel. Carver seduces Nash into a risky world of stealing from banks and the government. Nash makes big money; but there's a cost. 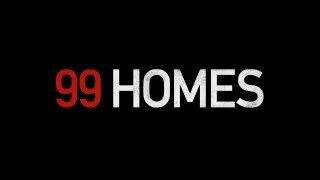 On Carver's orders, Nash must evict honest families from their homes – just as it happened to him- and will have to choose between destroying an honest man for the ultimate win or going against Carver and finding redemption.